No need to travel to the North Pole for great pre-event promotions! Print individual Paper Tree Invitations and present them to your guest list to boost attendance at your holiday party. Each Invitation features room to upload three images on an intricately designed greenish-blue background, along with a cute little paper Christmas tree. 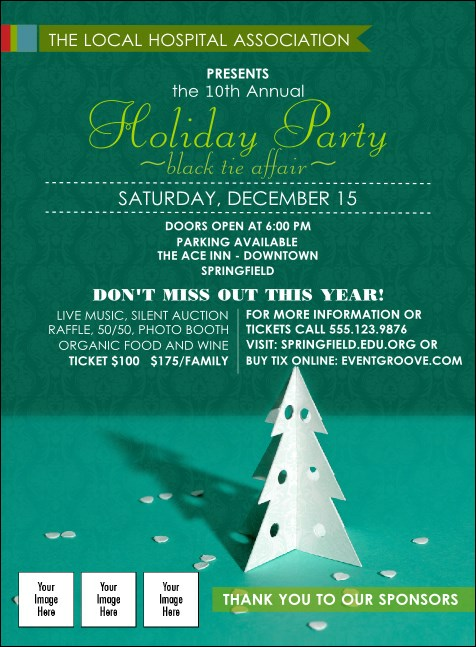 Wrap up your holiday event advertising with seasonal Invitations from TicketPrinting.com.